This misty pond retreat is like owning your own National park. 60+ acres of lush cedar forest, small lakes, ponds, trails, and wildlife. 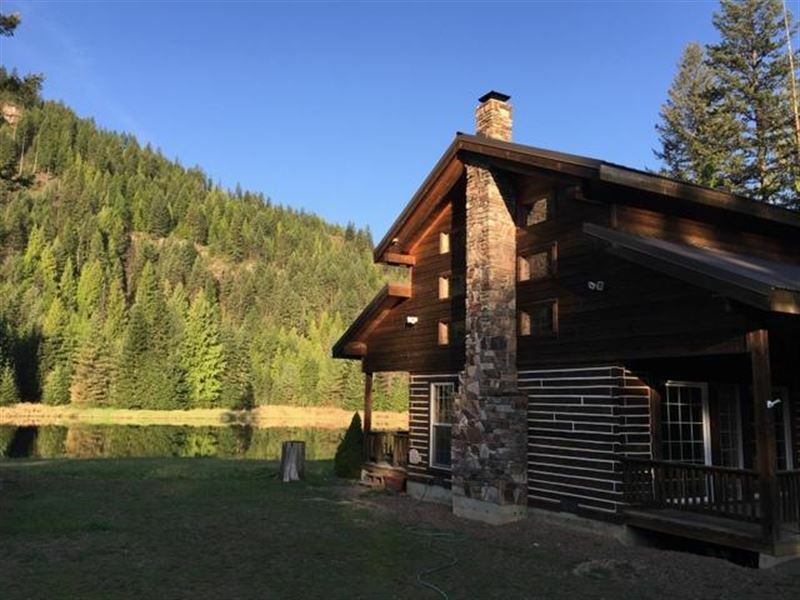 This custom built log home and detached 4 car garage/shop are completely surrounded by water - making it your own private castle with a moat. privacy is an understatement for this end of the road property. Bordering Forest Service lands, the handcrafted log lodge is the ultimate in privacy and comfort. Enjoy endless recreation in this sportsmans paradise, or just kick back and relax. Enjoy watching deer, elk, ducks and the occasional wolf or moose amble by. This is truly one of the prettiest settings in Heron, one of Montanas last unspoiled retreats. This one-of-a-kind property should not be missed. Hike, hunt, mountain bike, and explore the surrounding Cabinet Mountain and Scotchmans Peak wilderness areas. Fish or boat in the nearby Clark Fork River, Noxon Reservoir, or Lake Pend Oreille. Take a short drive to charming Sandpoint, Idaho for upscale shops, live music, and excellent restaurants.